What a cute way to use your fabric scraps. 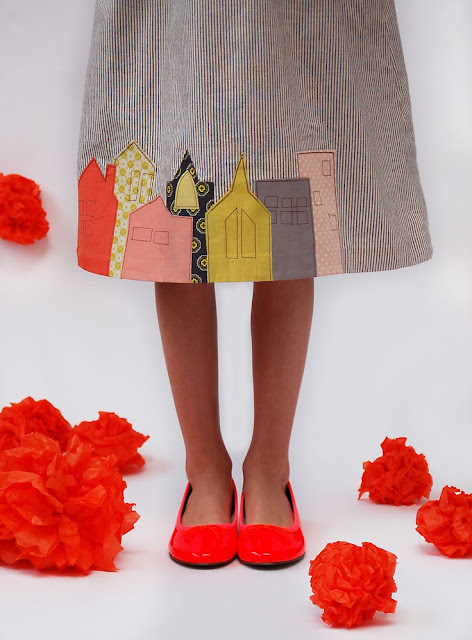 Make a city scape skirt! Via Oliver + S.
So adorable! I have a sort of "boring" skirt that I am immediately attacking with this idea:) Thanks for the inspiration and it'll be perfect to flaunt about in when I visit NYC this September!